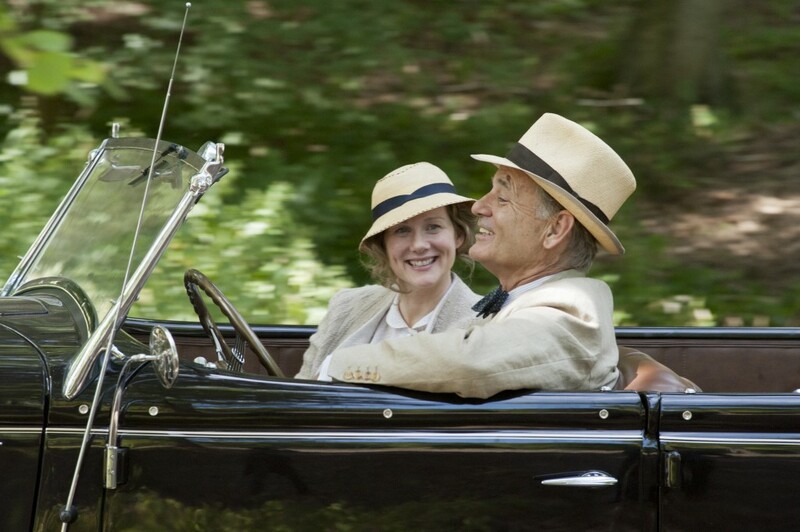 When I first heard of Hyde Park on Hudson, as a fan of both Bill Murray and Laura Linney, I was curious to watch this brief glimpse into President Franklin D. Roosevelt’s life. But as time passed and the film premiered at a couple film festivals, the reviews and reactions caused my interest to wane. Yet, I decided to see Hyde Park on Hudson with an open mind. With that open mind, I must admit that the film just wasn’t for me. Several things are happening at Hyde Park on Hudson. For one, it’s FDR’s (Bill Murray) vacation home, where he goes to get away – as much as he can – from the stress of presidential life. It’s there that he’s doted on by his mother and, what we later learn, his mistresses. The film is framed by Daisy’s (Laura Linney) story of how she met and started a relationship with the president. Daisy is FDR’s distant cousin and has lived a little less than modestly in Hyde Park all her life. One day, FDR’s mother calls her to come over and spend some time with FDR to help him relax. At first, she’s hesitant and weary. She’s also quite naïve. Yet, their camaraderie and friendship soon turn into an affair. It’s when the King George and Queen Elizabeth of Britain come to visit America for the first time ever that circumstances begin to get a little messy. Everyone is hasty to impress but also show an underlying power over the royal couple as they visit the president at Hyde Park. Secrets and truths are bound to come out. What didn’t work about the film was how silly it all seemed. Bill Murray’s portrayal of FDR was a bit over the top. I never felt fully convinced that he was FDR. It was more like, “Hey, watch Bill Murray act like FDR!” Linney did a fine job, even though I didn’t care much for her character. Daisy was sweet and timid, but there was something stopping me from completely becoming invested in her story. There was one loud moment when I thought the film and her character might do a 180; yet, it didn’t. The portrayals of the king and queen felt exaggerated. I’d really like to find out if they really did spend that much time fighting over eating a hot dog or was it amped up for comedy sake? If the latter, it failed at making me laugh. Hyde Park on Hudson could’ve been a fascinating character study on FDR and one of his mistresses. That’s what I had hoped for. He’s one of our most famous presidents, notorious for having so many affairs; this movie could’ve gone a little deeper and more serious. I think I would’ve enjoyed it more if it was a drama, not a pseudo-comedy. Hyde Park on Hudson is now playing in select theaters.